This approach was developed by Debra Beckman, MS, CCC-SLP as a way to evaluate and treat weakness (hypotonicity) throughout the oral-facial areas. Her protocol specifically examines: lips, cheeks, jaw, tongue and soft palate and their response to pressure and movement, range, strength, variety and control of movement. Once the evaluation is completed, it directly leads into ascertaining for each area which: are the most consistent (>80%), emerging/inconsistent patterns of movement (35%-80%), and, most unconstructive (<35%). Diane Lewis, MA, CCC-SLP follows a series of step-wise procedures when providing the child with a comprehensive feeding program. 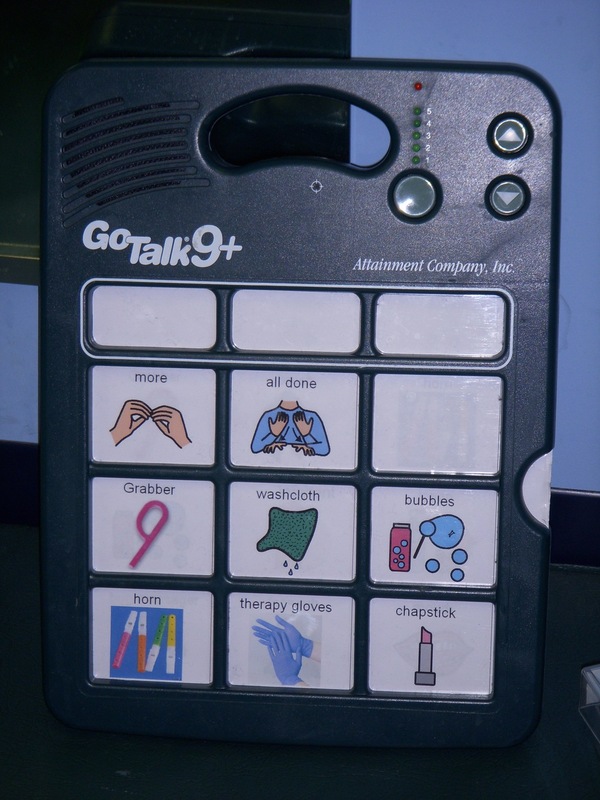 Augmentative Communication (AC) is the implementation of gestures, sign language, photographs, communication boards with icons, and voice output “talkers” to supplement the child’s communicative attempts. 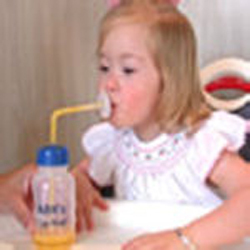 AC is not a replacement for speech as the child is encouraged to produce a speech approximation when using AC. Research shows that the use of AC not only enhances the child’s ability to communicate, but also facilitates the development of functional speech skills. Diane Lewis, MA, CCC-SLP is knowledgeable in sign language and provides excellent support in the fabrication of photographs and/or icons (Boardmaker). Diane Lewis, MA, CCC-SLP has a Go-Talk to evaluate the efficacy of voice output. 1. To support the acquisition of expressive language skills: 2. To provide supplemental visual cues: 3. To help establish and maintain a more continuous flow of back-and-forth interaction. These programs were developed by Sara Rosenfeld-Johnson, MS, CCC-SLP, Director of Talk Tools Innovative Therapists International to serve as a portion of the child’s Oral-Motor Program(OMP). As she states, OMT serves as an additional building block not replacement to the more traditional therapy targeting specific sound production. Diane Lewis, MA, CCC-SLP will sometimes chose to include one or more of these programs to your child’s therapy to make it easier for her to produce the targeted sound/s. These programs all help to strengthen specific muscles needed to support respiration, phonation and articulation. By requiring that the child execute one movement 15, 20 or 25 times assists with the development of motor planning skills for the jaw, lips and tongue which contribute to the ability to do so with speech sounds.